"Tiffany Favrile Glass and the Quest of Beauty," by Tiffany scholar, Dr. Martin Eidelberg. 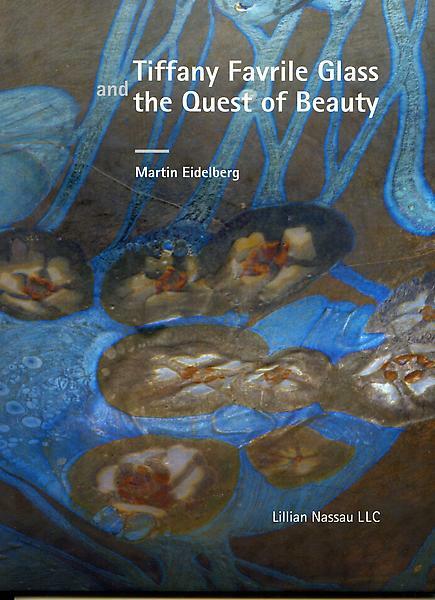 Eidelberg traces the evolution of Tiffany Studios favrile glass and presents a new chronology of the coding system. This groundbreaking volume will become the definitive reference on Tiffany favrile glass. This hard cover book has over 100 new color photographs as well as archival photos. Available now for purchase at $65.00 plus shipping and/or tax.